One of the goals of OPC Short-Term Missions is to see more and more examples of "churches helping churches!" It is wonderful when an OP church makes known its need for help, and members of other churches respond to the call! 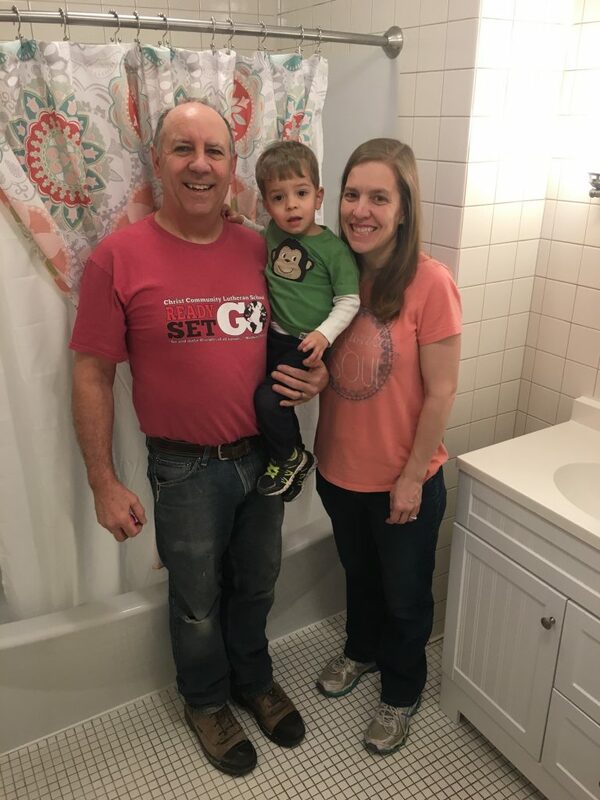 A family from Michigan recently gave generously of their time and skills to rebuild the master bath in the manse of the pastor of the OP church plant in Neon, Kentucky. Shiloh OPC in Raleigh, North Carolina, donated funds in advance to complete this project! It turned out to be exactly the amount that was needed! We are the Hill Family: Steve, Carrie, and Joshua (2 1/2). We attend Redeemer OPC in Ada, Michigan. 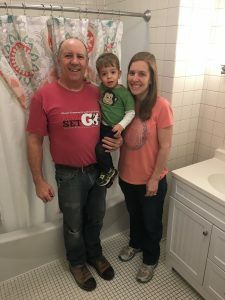 We recently returned from a 17-day short-term missions trip to Neon, Kentucky, to build out the Master Bathroom that was listed in the STORM Report last month. We truly enjoyed serving in Neon and wanted to share our experience and pictures with you. We will be speaking during the Sunday School Hour at our church on March 11th, and have already had several people express an interest in returning to Neon OPC to make some desperately needed repairs to the front of the church. Thank you so much for sharing the needs of Neon in the STORM Report. We were blessed by the opportunity to go and serve. It is wonderful to finally have a fully functional manse apartment! Your hard work, skill, and servant hearts are much appreciated. We enjoyed getting to know you over the last two weeks and miss you. What a blessing to be part of one church (as we all share in the fellowship of one gospel) where people use their gifts and talents to serve. Your family has been a true blessing, and we thank you. ...Upon our arrival we had a late dinner with Pastor Jay Bennett, his wife Andrea and their kids Cole (12) and Joanna (10). They are a very warm and welcoming family. The church is an old store front building on Main Street. The Bennetts live in an apartment above the church. ...Things are going well here and a lot of progress has been made. We just finished day 4. The ceiling joists, rafters and ducting are in place. New electric has been run down into the walls. Insulation and drywall are up taped/mudded/sanded second coat. 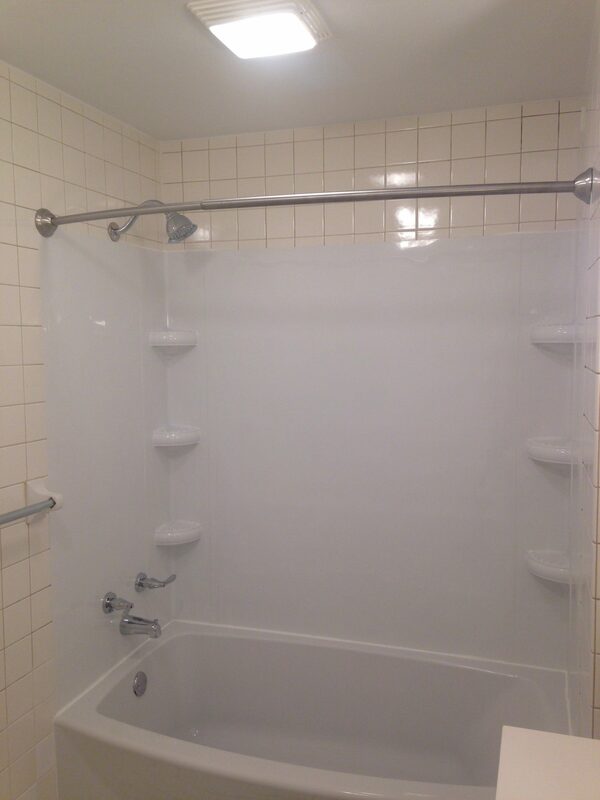 The tub/shower was demoed today and preparation has begun for a new tub and surround and then wall work begins....the list goes on but it is coming along. 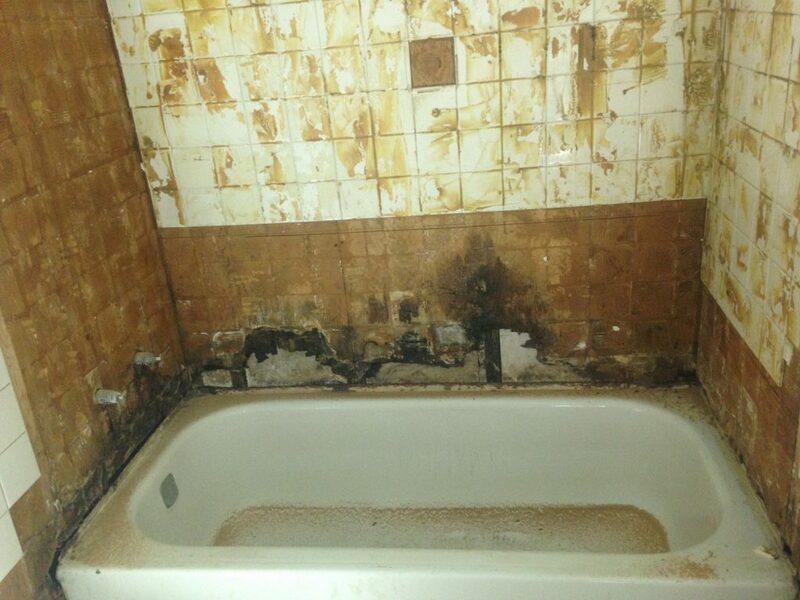 There is a lot of damage from previous leaks and mold that has had to be addressed. ...At 8, noon, and 5 the town is greeted by hymns which are played from a neighboring church Carillon. Yesterday morning our day started with “How Great Thou Art.” Truly amazing in an area of such great poverty! But oh so true! We serve a great God! ...The bathroom renovation progress continues after a few setbacks of having to rebuild some walls, abate some hidden black mold, completely replace the bathtub, and all new plumbing. We also had to replace the water heater. Things are coming along well though. 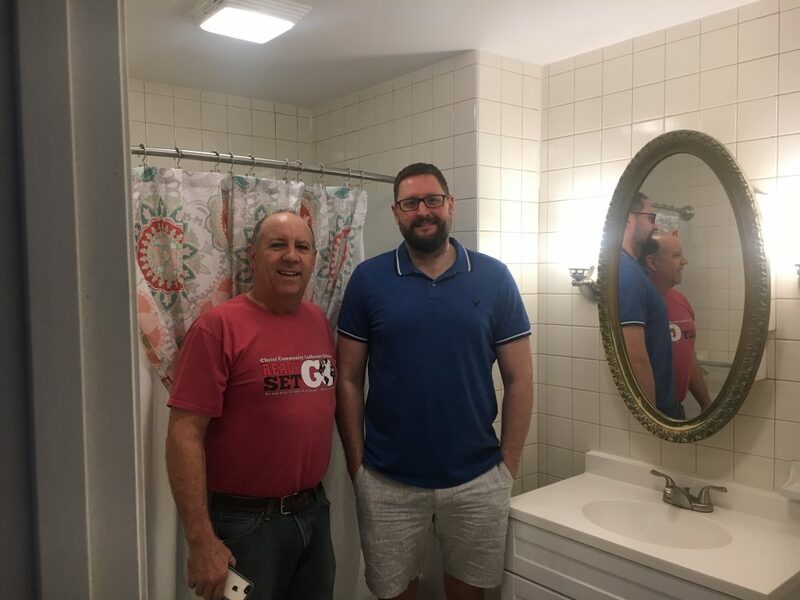 Steve has been working some long days to make sure everything is done right and make it a sound, healthy bathroom for the Bennetts. ...We were blessed through the Lord's equipping to be able to accomplish everything we set out to do. 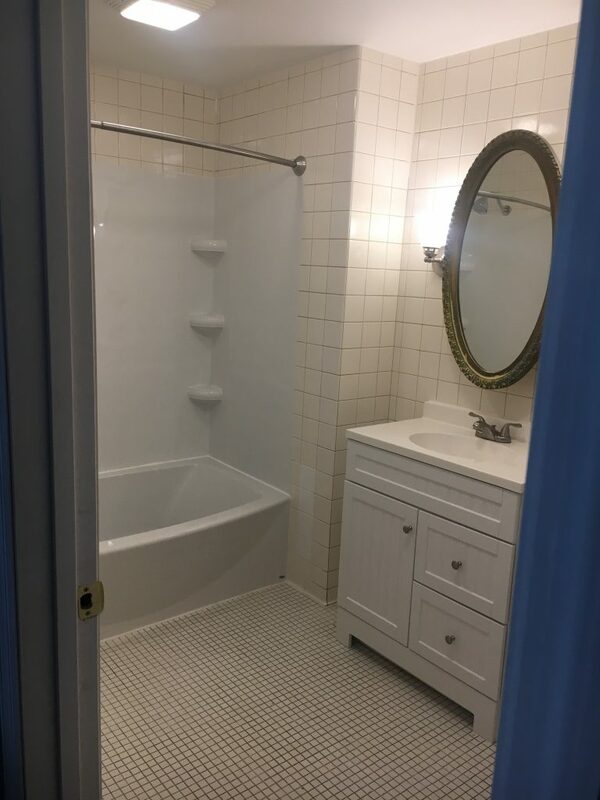 As you will see below the bathroom turned out beautiful. What a transformation! 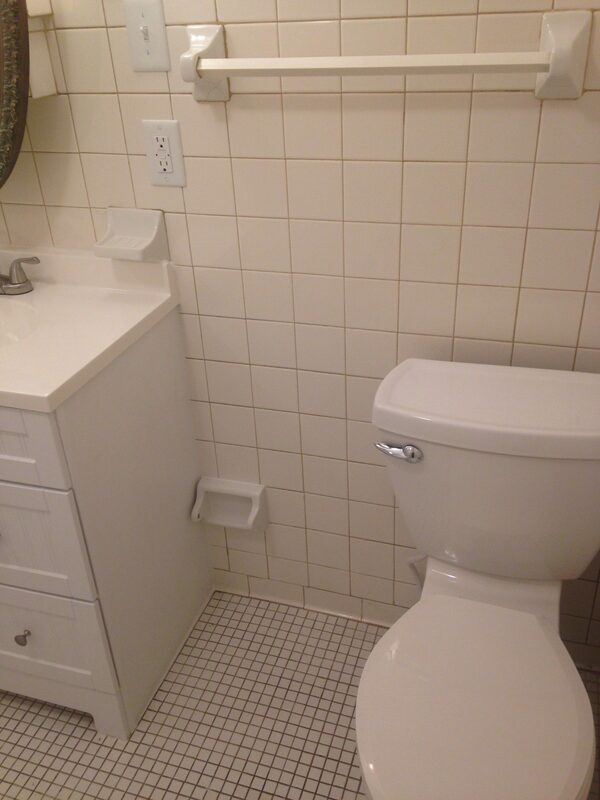 The Bennett family is delighted to now have two bathrooms! 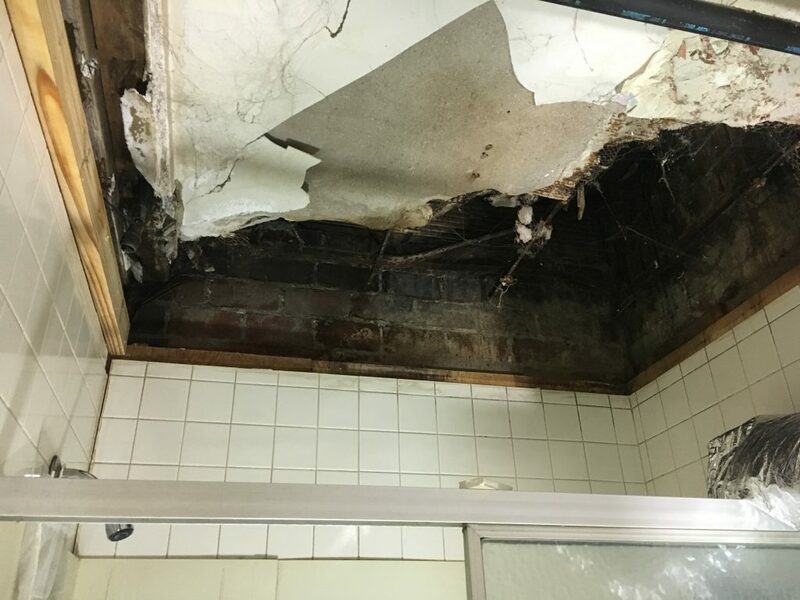 Steve was also able to add a ventilation fan to the existing tiny bathroom and a ventilation hood over the stove in the kitchen. In the church we were able to replace drywall that had come down where we had fixed the leak last weekend. And we completed some much needed maintenance and repairs around the church. ...We are so thankful for the opportunity to go and serve on behalf of Redeemer, but most of all as servants of God. We know it is only because of Christ through us that we were equipped to serve. Please pray for Neon Reformed OPC, the members of the congregation, the impoverished and overwhelmingly hopeless community in which they serve and the continued work both physical and spiritual that needs to occur. If your church needs help with a particular project, please consider contacting OPC Short-Term Missions to request a team. You never know ..... there are likely some folks out there seeking an opportunity to serve! Let us help you advertise the need and find volunteers to help you!